 Because of its unique loca­tion sur­rounded by lega­cy rail lines, ReThink Stu­dio envi­sions Secau­cus Junc­tion as a major trans­porta­tion hub for rail access with­in New Jersey, to NYC, and through­out the region. The New Jersey coast has seen a lot of devel­op­ment in recent years, but with­out ade­quate access to rail, devel­op­ments are dis­con­nect­ed, which stymies fur­ther growth. 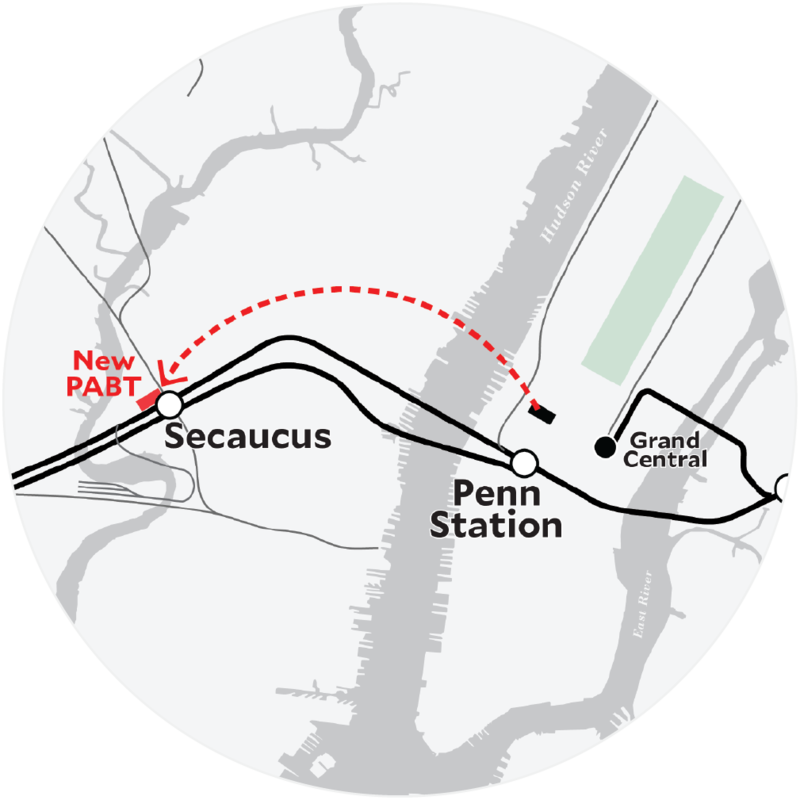 The ReThinkNYC pro­posal cor­rects this through a major rail sta­tion at Secaucus Junction, a light rail sys­tem that makes use of an abun­dance of aban­doned right‐of‐way through­out east­ern New Jersey. The pri­ma­ry access point for bus­es going to the PABT is through the Lincoln Tunnel, which cre­ates a direct link between Midtown Manhattan and New Jersey. Over the next few decades, Port Authority expects both rid­er­ship and bus ser­vice to increase by 30%. However, the Lincoln Tunnel is already oper­at­ing at capac­i­ty and the Port Authority has no plans to con­struct any new tun­nels into Manhattan. In the same way that the Hudson River rail tun­nel is a major bot­tle­neck for trains access­ing Penn Station, the Lincoln Tunnel is a major bot­tle­neck for the thou­sands of bus­es going to and from the Port Authority Bus Terminal each day. To alle­vi­ate this choke‐point and provide addi­tion­al capac­i­ty to han­dle future pro­ject­ed rid­er­ship, ReThinkNYC pro­pos­es that a small­er bus ter­mi­nal is con­struct­ed in Midtown Manhattan on the exist­ing site and a new bus ter­mi­nal is built into an expand­ed Secaucus Junction. With this con­fig­u­ra­tion, most bus­es will be redi­rect­ed to Secaucus with the inten­tion of reduc­ing vehic­u­lar con­ges­tion by get­ting com­muters onto rail before reach­ing Manhattan. Furthermore, some bus­es will still provide direct ser­vice to Midtown Manhattan, but can also be redi­rect­ed to Secaucus in the event of traf­fic grid­lock at the Lincoln Tunnel. 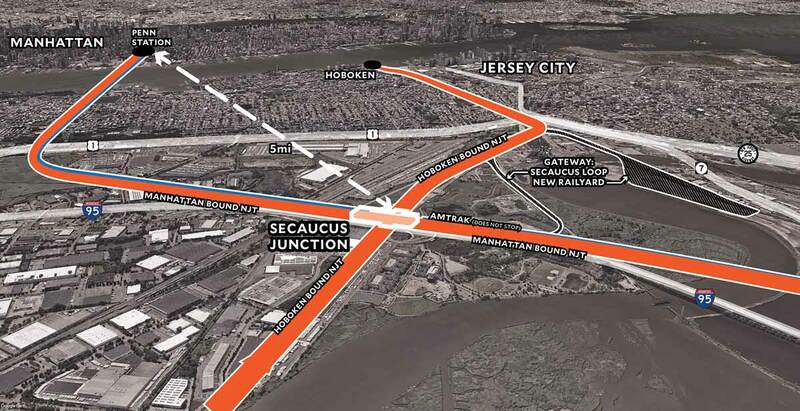 At Secaucus, bus rid­ers will be able to trans­fer onto com­muter rail, sub­way, and light rail that will con­nect to Jersey City, Manhattan, Queens, and the Bronx. As Secaucus is established as a significant multimodal transfer hub, it can be the natural base of a significantly expanded New Jersey Light Rail Network. Because of how many lines once led to the New Jersey waterfront, there are a vast number of underutilized and abandoned rail lines throughout Northern New Jersey, and most of them already run through or near Secaucus. The Hudson‐Bergen Light Rail system has begun to take advantage of those opportunities, but our proposal is for a significantly more expansive network connecting every major destination in New Jersey. Because it would be based out of the Secaucus Hub, each of these lines would also have easy access to the entire metropolitan region via a simple transfer.